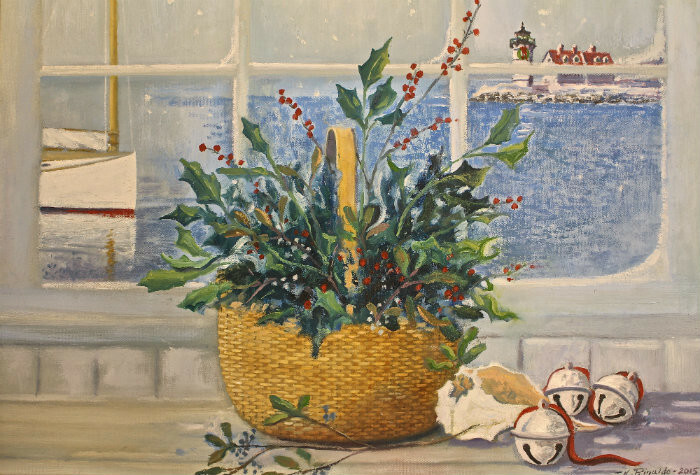 Rinaldo Art -Jingle Bell giclee print is a classic holiday print of the original artwork done by Karen Rinaldo. 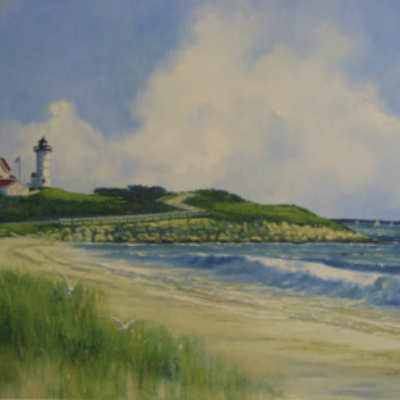 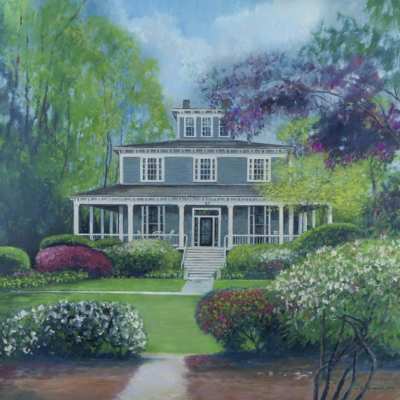 Karen has an impressive body of work focused on beautiful cape cod scenery and historic buildings. 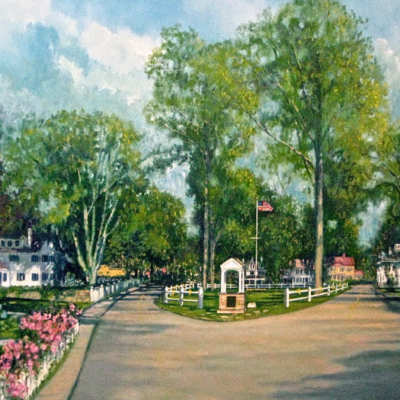 She is a favorite of local Falmouthites for her painstaking work to preserve the beauty and character of the history of the town. 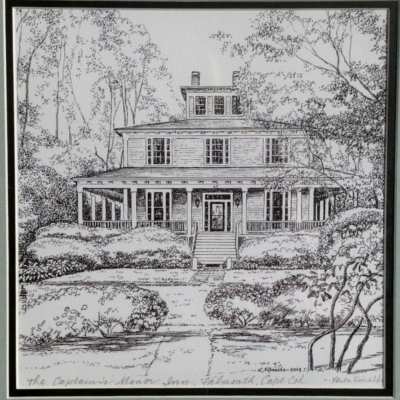 In 2015 she completed an impressive map of Falmouth Village and the surrounding area noting fun and interesting facts about the many unique properties painted and she also painted in buildings that we have lost over the years (they are in a sepia color so as to stand out from full color). 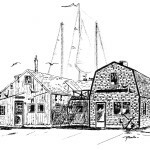 Karen is a 2015 recipient of the Falmouth Historical Society’s Heritage Award. A trip to her studio on Falmouth Harbor is a great treat.